Happy Feet International Luxury Vinyl Review | Floors, Flooring, Carpet and More! Find a luxury plank or tile to fit any decor with Happy Feet International and ACWG! Happy Feet International is Luxury Vinyl Plank and Tile flooring started by the father and son team of Casey and CJ Johnson. Since hitting the market in 2012 this flooring company has grown to a number of different product lines, many of which are available at American Carpet Wholesalers! The Happy Feet International lines of Luxury Vinyl Plank and Tile are created with the understanding that space is the foundation for your decor design. It could be your office, your home or any other commercial space, the Happy Feet International luxury vinyl will work with any number of spaces or decorating trends. 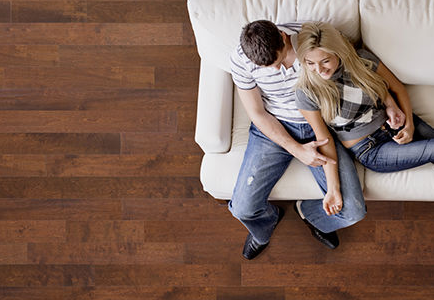 From rustic and relaxing to modern and slick, you will find a flooring choice to match the need for today’s interiors. Happy Feet International flooring uses innovative technology to create and brings to market top-notch flooring. Offering a glue-down and click-lock luxury vinyl floor with a 100% virgin PVC material. In this article, we are going to look at the popular loose lay product category. Happy Feet labels their product as a “Quick Fit Plank”. This is a loose lay floor (no adhesive required) that comes with a lifetime residential warranty and a 20-year commercial warranty. The planks are 100% waterproof, have an anti-microbial, anti-scratch and anti-slip surface. 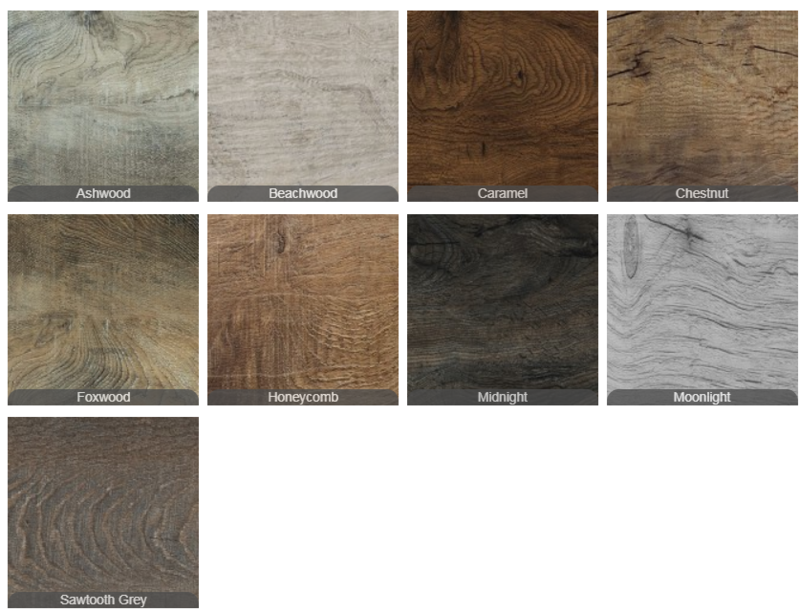 The planks are 9″wide by 48″long and come in a variety of colors and shades. Ashwood, Beachwood, and Moonlight are the lighter tones with Chestnut, Honeycomb, and Sawtooth Grey making up the mid-tones. The darker varieties are Caramel and Midnight. Happy Feet International considers this to be a DIY type of floor. There are many other varieties and styles available to select from with Happy Feet International Flooring. It is highly recommended that you give the flooring experts at American Carpet Wholesalers a call to work out exactly which would be best for your project. You owe it to yourself to give them a call, you can save a lot of time and possible frustration of having to look through each collection. Not only that you will be sure to get your best pricing when you call ACWG at 800-548-2706. Click here for more reviews of the Vinyl Plank and Tile products available at American Carpet Wholesalers or Click here to explore other styles of flooring.